← Are You Making the Most of Your Social Media Interaction? 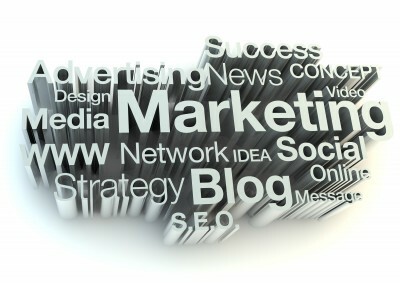 Social media is a necessary part of a good marketing strategy. However, it is always changing and there’s always steps to take your company’s social media presence to the next level. Nearly half of online users prefer to utilize social media before making a purchase. In the U.S., almost 30 percent of Internet time is spent on social media websites. Fifty-two percent of current marketers gained a customer through Facebook, 36 percent gained a customer through Twitter, and 43 percent gained a customer through LinkedIn. Eighty-five percent of followers of the brands on Facebook will recommend that brand to others. Now that you’re even more convinced of the importance of social media, what are some different steps to take to ensure that you’re getting the best out of your marketing strategy? Create an exciting and interesting cover photo. On Facebook be sure to follow the Cover Photo Guidelines though. Make sure you’re utilizing polls, surveys, and contests to give your followers a chance for feedback. Reply to any comments quickly and efficiently. Facebook and Twitter users have grown to expect a prompt reply, especially to complaints. Any negative comments should be responded to with helpful responses. This will express your willingness to improve upon your brand. Manage your timeline effectively by promoting certain stories by clicking the star icon in the upper right hand corner of the story. You can also hide individual stories from your timeline by clicking the pencil icon. Don’t forget to include an awesome picture (or more than one) with your posts. According to a study done, the posts with pictures often generated double the engagement. That sounds like an excellent marketing strategy. Posting on a regular basis is a necessary part of a good, social media marketing strategy. These can get your company headed in the right direction and get your social media presence up to the next level. If you’re interested in taking it even further, contact Susan J. Campbell. We would love to help with your marketing strategy; finding new ways to enhance your social media presence and engagement is a top priority. This entry was posted in Marketing Strategy, Social Media Marketing and tagged engage customers, Facebook, importance of social media, LinkedIn, marketing, marketing strategy, social media marketing, social media marketing strategy, social media presence, social media tools, Susan J. Campbell Copywriting Solutions, Twitter, Web presence. Bookmark the permalink.